Podcasts have been slowly, but steadily increasing their listening audience. Since 2016 started, 21 percent of Americans 12 years or older have listened to a podcast during the past month. This comes from a research conducted by Edison Research. As a result, there has been a 5 percent increase of podcast listeners within the past year. Since then, many media companies and digital startups have been investing in podcasting. A podcast channel is a great way to build up your network. It helps increase visibility, credibility and respect for you in the industry you’re in. Podcasts also helps you expand your connections and have the chance to meet people that you admire in the industry. Podcasts are slowly taking over the digital world. If you decide to start your own channel, here are a few pointers on promoting your podcast channel and episodes. As you know, social media is a critical part of our daily lives; we find out about news, products, entertainment and events through the internet. Basically, we’re connected to one another 24/7. Promoting your new podcast in social media is not that hard, you just need to know where to start, create a schedule and stick to it. It’s important that every time you create a new episode and upload it, you share an update across your social media accounts. This update lets your listeners know that there is new content in your channel. Always include the link to our episode in your update, it facilitates the listener to go directly into your episode and start listening. 3. Pin your episode to your page. No, I don’t mean pin as in Pinterest. Pinning your episode to your Facebook or Twitter page will give your newest episode post more visibility. The pinned episode will be placed on the top of your page and will not be moved, even though you share regular updates. This ensures that your newest pinned post, will be the first thing that a visitor sees when they access your social media page. 4. Create stand alone images. Most of our social media feeds are filled with images, videos or GIF’s. Creating a stand alone image with the link to your newest episode will ensure that your update will be seen and not dismissed. Create an eye capturing image that will draw attention to your page and help gain more listeners. 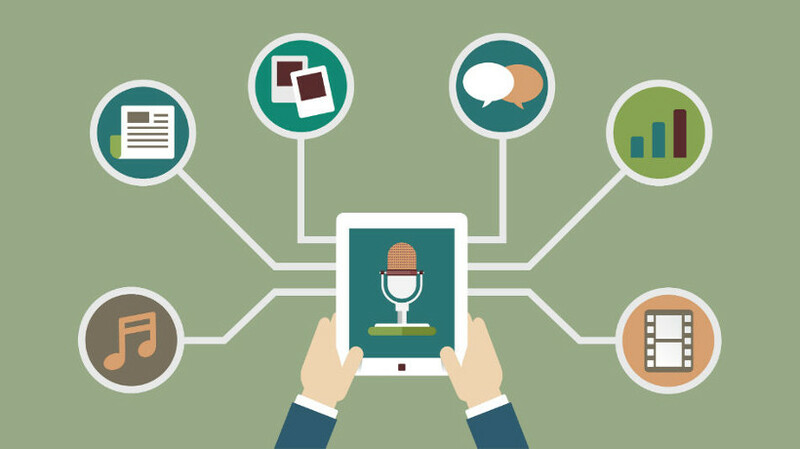 The image can vary, it can be a photo of your guest speaker, an image of yourself recording the podcast or with your guest speaker, or an important quote from the podcast. I’ve seen this technique a thousand times on social media. Podcasters will share a small tease of their podcast 24 hours before the episode going live. They will share fun facts about their podcast guest, things that they found out about the subject of their newest podcast or share a 15 second clip of the podcast. Sharing a tease will enhance your listener’s anticipation for a new episode. I can’t stress enough about resharing your podcast episodes on social media. Sharing episode updates on your social media channels is critical. Remember, everyone is connected through a social media channel. There is so much content flowing through everyone’s social feed that there is a possibility that your update was missed. Sharing multiple times a day or a couple of times a week will enhance the chances that your post will be seen by your followers. 7. Use stories to your advantage. Since the launch of Snapchat’s story feature, we have been given a new behind the scenes look into our favorite celebrities or TV shows. Now, Instagram has the same feature, enhancing the way our favorite brands use the feature. Basically, this is the best tool you can use to provide your viewers real time updates, but also a behind the scenes look into what goes into creating a new podcast episode. If this is your first time recording and launching a podcast, you should record two or three more episodes. When you’re new to the podcast world, you want to provide your listeners with a preview of what your future episodes will be about and the topics that you will cover. Having a couple of episodes available after your first launch will give listeners the chance to listen to you more. By including more episodes on launch date, this will help you know if your first episode was a success. If people continue listening to the other episodes, you will have an idea of how big your audience is.